Scottish fishing boats will double up as unmanned aircraft carriers after a high-tech addition to the services they offer to the offshore energy industry. Vessels carrying out non-fishing activities on behalf of SFF Services, the commercial arm of the Scottish Fishermen’s Federation, will go to sea equipped with drones as a result of a tie-up with the UK offshore division of unmanned aerial vehicle (UAV) specialist Texo Drone Survey and Inspection (TDSI). SFF Services arranges for fishing boats to be used by the offshore oil and gas, renewables and subsea sectors as guard vessels to provide protection for vulnerable infrastructure. Trawlers are also used to undertake post decommissioning, debris clearance and survey work, as well as environmental monitoring. Access to TDSI UAV fleet – said to be the largest in the offshore industry – is expected to help reduce energy industry costs during routine inspections by offering an alternative to larger vessel charters. SFF Services managing director Steven Alexander said: “We’re stepping into an exciting new arena. 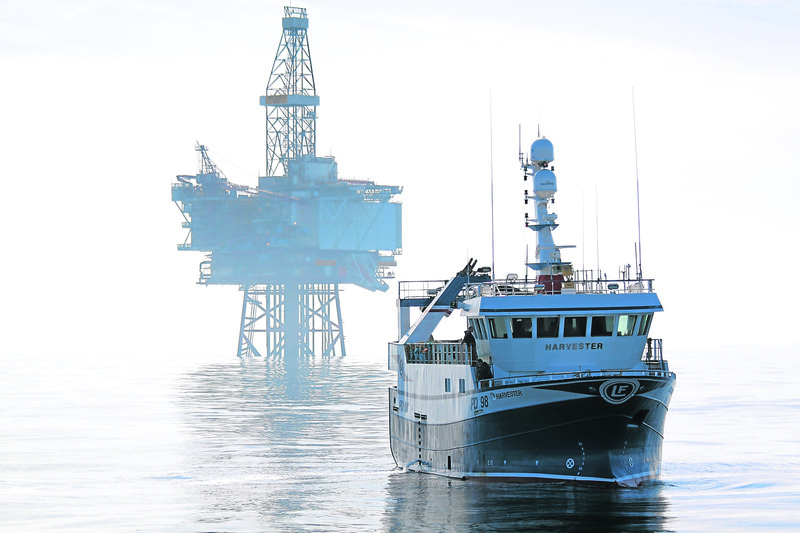 “Fishing vessels and drones may not be the most obvious partnership, but together our companies offer a resourceful approach to improving safety, cost and overall efficiency to operators adopting Texo DSI’s cutting-edge survey and inspection solutions.